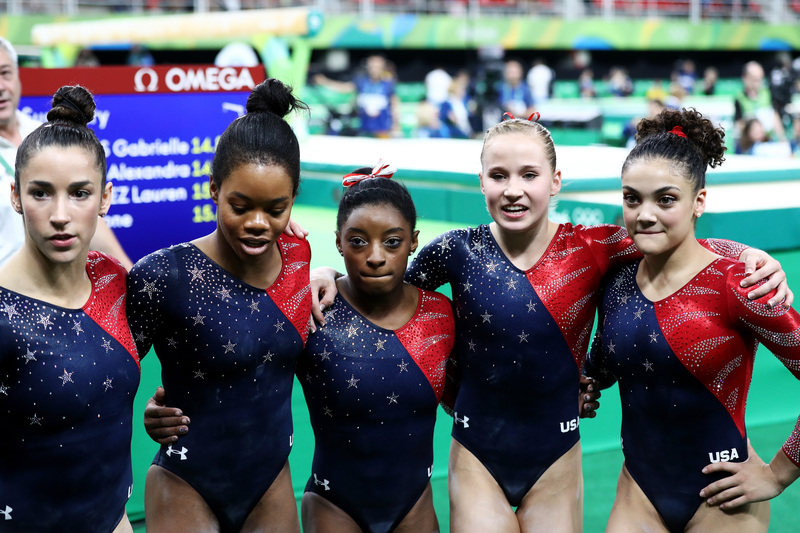 Tuesday was a huge day for the U.S. Women's Gymnastics team, as the group (spoiler alert) not only won the Gold in the team event, but revealed their group nickname after a drawn-out wait. The U.S. gymnastics team calls themselves "The Final Five," and it's a fitting, inspiring name for the five incredible athletes. After gymnast Simone Biles learned her score for her floor routine (and then realized they won the top spot), the five gymnasts shouted out their team nickname. Is there really a better way to celebrate this amazing achievement? Way to go, The Final Five. As for their nickname, it actually is quite meaningful. You see, Biles, Gabby Douglas, Aly Raisman, Madison Kocian, and Lauren Hernandez are the final five women to serve on the U.S. Olympics women's gymnastics team. In May 2015, it was announced the size of the gymnastics team would be cut from five to four. This will go into effect during the 2020 Olympics, which will be held in Tokyo. See? They really are the final five. Clearly, the official Twitter account for USA Gymnastics is excited about not only The Final Five's win, but also their nickname. Immediately after they won Gold, the account tweeted an official photo of the team. These five young and powerful athletes surely are inspiring. Congrats to them on their win and choosing such a fitting group nickname.